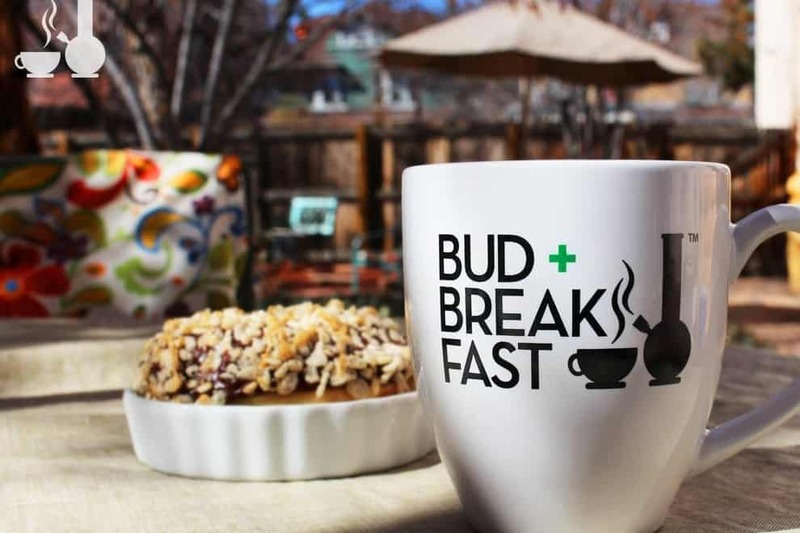 One of East Coast ganjapreneur found his calling in the cannabis space by creating the Bud + Breakfast, a home away from home for his guests. Denver’s most popular bed and breakfasts could be coming to a state near you. Joel and Lisa Schneider are reinventing the ‘mom and pop’ boutique hotel business with their 420-friendly model the Bud + Breakfast – and offering to license the model to small businesses looking to go green in new rec-legal states. The Adagio is one of three BUD + BREAKFASTS in Colorado, their shining example of canna-tourism done right. Glass pipes and bongs in antique cabinets line the living room, giving it a discreet and classy 420-friendly vibe. The BUD + BREAKFAST inns have water and snacks readily available around the house, to keep consuming guests happy, hydrated and satisfied. Experts at creating a ‘home away from home’ atmosphere, the staff welcomes each guest to smoke, vape, or dab in the common areas of the house. We love being able to come out to the living room and socialize while vaping or smoking, we used to only do it the basement or out the window at home. Their signature Wake n’ Bake and 420 Happy Hours are also big hits among guests, encouraging friendly interaction amongst the guests and a homely vibe. Lisa makes sure that their guests have a lavish yet homely dining experience, and friendly staff makes sure your every need is catered to. Guests can also partake in bottomless mimosas, and the fridge is always stocked with complimentary beers and wine, and an array of delicious snacks for when the munchies strike. For many guests, the private and supportive space normalizes the use of cannabis. It also provides a legal place for tourists to smoke what they came to buy. Now, the Schneider’s bring their proven model to other cannabis-legal states like Massachusetts, California, and Nevada with a licensing play. The licensees keep their establishment’s original name, it’s just a new and unique business model with a method of operation already in place. It’s the first time since cannabis prohibition that a company has created a space where everyone can get to know their strain. The BUD + BREAKFAST model is ideally for bed and breakfasts, or inns with less than 20 rooms. There’s also no a no smoking policy in the bedrooms because they want to encourage communal consumption. They also encourage passing, to say the least. Guests on their way out are thrilled to be teaching newcomers the ropes to dab and vape. When in town to launch his new products range, Julian Marley stayed at the Adagio. So did our editor when she was in Denver. The BUD + BREAKFAST model is ready to take licensees to the next level. Licensees will receive state-customized legal guidance and merchandising opportunities with trips to their flagship inn, The Adagio. Also, visits from the BUD + BREAKFAST staff aim to help newly minted inns implement the BUD + BREAKFAST model within their own operations already in place. Check out the BUD + BREAKFAST website for more information.